The Volvo FMX 18-ton construction truck bills itself as "built for the toughest working conditions on earth." 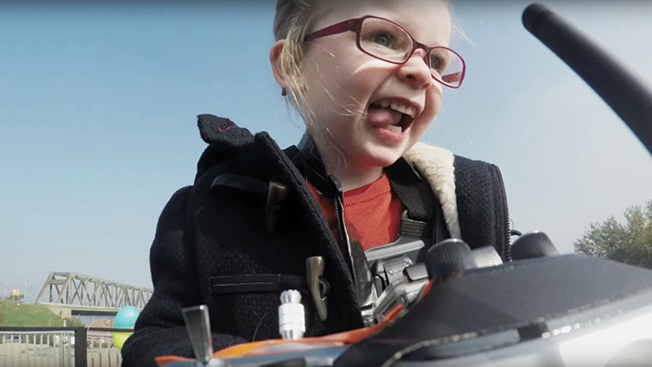 Volvo Trucks and agency Forsman & Bodenfors set out to prove that claim in a unique and effective way: by letting an adorable and fearless 4-year-old girl take it for a test drive. The film, "Look Who's Driving," which launched in December 2015, puts bespectacled kid Sophie at the proverbial wheel, driving the truck through a construction site using a remote control device. As Volvo's testers look on, Sophie excitedly pilots the vehicle through mini-explosions, a water-filled trench and other obstacles. At one point, the truck tumbles over a ravine before it safely turns right side up and keeps going. It then crashes through a house, again emerging unscathed. The video ends with Sophie doing what a lot of kids—and grown-ups—in her position would no doubt like to do: spinning out a giant doughnut. The video succeeds not only in that it is wildly captivating, but also in that it meets the client's objective. It demonstrates the truck's new features—automatic traction control, advanced steering, rear suspension— while showing off how it can perform under the most demanding driving conditions. "It's entertaining while showcasing the advantages of these features on the truck," explains Fredrik Klevenfeldt, director of PR and social media at Volvo Trucks. "The thing is to always have something unexpected. And having a little girl drive the truck remotely really gets your attention. There's a little kid driving a truck, but at the same time, there's a serious message about the truck." Adds Björn Engström, creative executive at Forsman & Bodenfors: "In the construction segment, you need a really sturdy, robust truck, and we wanted to test it. The truck rolls over, can turn sharp corners, and the skid plates underneath are made of high-grade steel­—everything that makes it tough and durable and sturdy. We showed all of that in the film, and Sophie really enjoyed driving the truck." The decision to cast a girl driving a heavy-duty vehicle was not deliberate. Explains Engström: "It's cool that it's a small girl driving. It could've been a boy as well—we had a lot of kids auditioning, and she was the best. She was really great, so we decided to go [with] her." The campaign also made wise use of Volvo's limited budget. Without significant dollars devoted to traditional media, the agency sought to get traction for the spot through social media, YouTube and PR, both in traditional and specialty trucking media. The strategy carried its load admirably, with the video racking up 25 million views on YouTube and Facebook and 1,000 total media impressions. The video helped expose the product to a mainstream audience while also driving Volvo Trucks' core customers to the brand's site, where they could find more detailed videos about the model's technical capabilities. "We got more than a half a million views on those videos after this, so it showed that we reached people who are really interested in trucks and are into the details," Engström notes. "There are millions of truck drivers around the world. We wanted to reach the influencers and a broader audience, too, that would say, 'Hey, did you see this cool thing on YouTube?' We reached a lot of truck drivers as well as influencers." Adds Klevenfeldt: "The engagement we got shows that we got the message about the features across. It was a door opener for salespeople." "Look Who's Driving" marks the reboot of Volvo Trucks' "Live Test Series," which evolved following the agency's assessment that it is a challenge to reach truck drivers by way of traditional advertising—so producing creative with a shot at going viral is the better tactic. To help ensure it would get pickup, it was important to create videos that both inform and entertain. The series includes a 2014 video, "Epic Split," that featured Jean-Claude Van Damme straddling two moving Volvo 18-ton trucks to demonstrate the stability and precision of the vehicles' steering capabilities. Another video in the series, "The Hamster," features one of the furry pets steering a truck from the bottom to the top of a quarry to demonstrate its steering prowess. The series has won awards from Cannes Lions, D&AD and The One Show. "Look Who's Driving" followed in the same tracks, securing wins at Cannes Lions and The One Show. The video series ties nicely into Volvo's strategy of approachability, Klevenfeldt says. "We try to use accessible language, not just talk to experts or someone who knows a lot about trucks," he explains. "It strikes the balance of being entertaining for a broad audience but still relevant to our core audience." "Volvo is known to be a human brand—it's down-to-earth, human and friendly," adds Engström. "Tapping into pop culture a little bit is really effective. It's easy to be a little dull if you want to show the robustness of a truck, but this gives it a human touch." 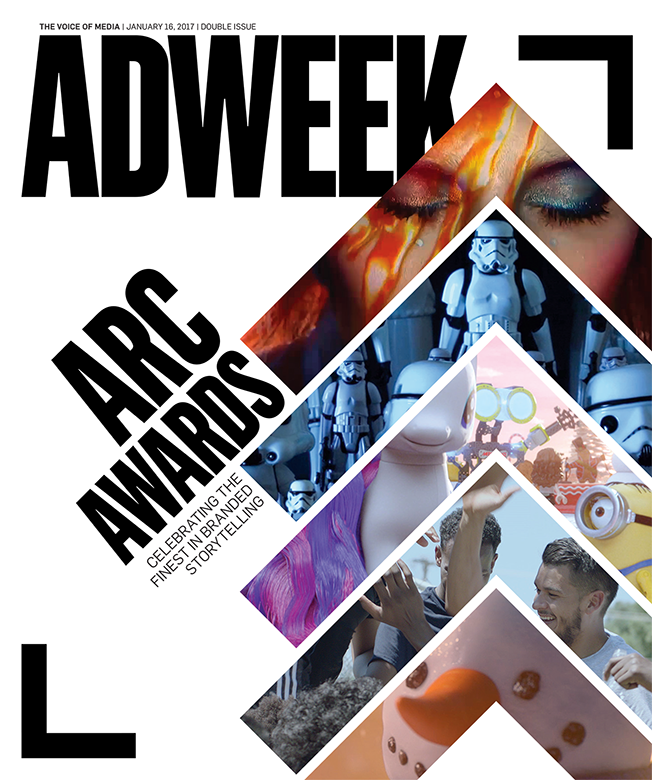 This story first appeared in the January 16, 2017 issue of Adweek magazine.